Kidsonroof never fails to impress us. Not only are their collections child-friendly, but their designs are sophisticated enough to impress adult tastes as well as kids. From their wonderful recycled cardboard kitchen, to their modern child's furniture line, to their classic eco-friendly Christmas tree; Kidsonroof always delights. And now, this October, there'll be even more to love when the company debuts two new gorgeous books full of animal goodness, each with its own unique flavor. 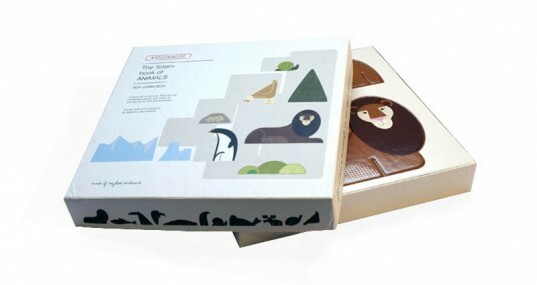 The books are chock full of pop-out animal fun and made with eco-friendly recycled cardboard. Each book contains multiple recycled cardboard animal characters that can be popped out and brought to life, along with plenty of beautiful play scenery. Your child will be able to see an entire forest, jungle or even ocean come alive with lovely vintage style animal cut-outs such as a lion, predatory bird, garden snail, whale, baboon, koala and so many more. Trees, splashes of water and plants round out the sets. All of the cut-outs seem to move as your child slides a wing, tail or legs into the model. Animals in the book can be used to play with or used to look at as beautiful decorations. A majestic Lion Book and Eagle Book are available. 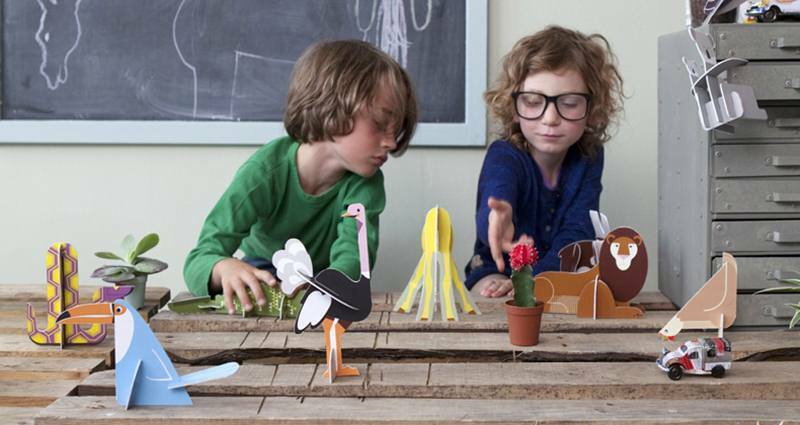 Each book contains multiple recycled cardboard animal characters that can be popped out and brought to life, along with plenty of beautiful play scenery. Your child will be able to see an entire forest, jungle or even ocean come alive with lovely vintage style animal cut-outs such as a lion, predatory bird, garden snail, whale, baboon, koala and so many more. Trees, splashes of water and plants round out the sets. All of the cut-outs seem to move as your child slides a wing, tail or legs into the model. A majestic Lion Book and Eagle Book are available.